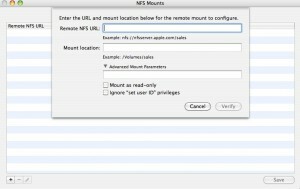 So I was poking around in the latest Snow Leopard build and I found something really pretty cool in Disk Utility. There’s now a NFS Mounts menu item on the File menu and it presents you with a really nice looking NFS mount manager. They’ve removed the Directory and Directory Utility apps completely. 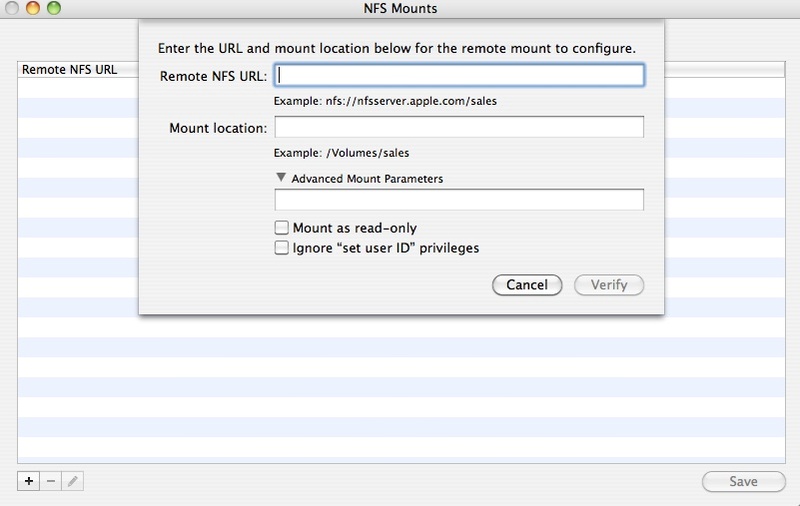 Disk utility certainly makes more sense as a place to manage NFS mounts.